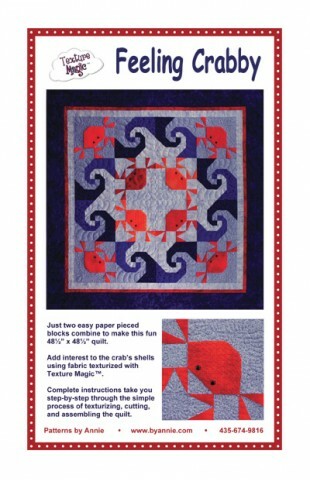 Just two easy paper pieced blocks combine to make this fun 48½" x 48½" quilt. 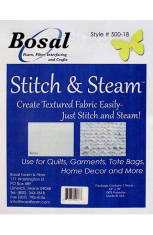 Add interest to the crab's shells using fabric texturized with Bosal Stitch & Steam™. 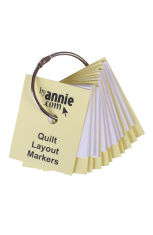 Complete instructions take you step-by-step through the simple process of texturizing, cutting, and assembling the quilt. 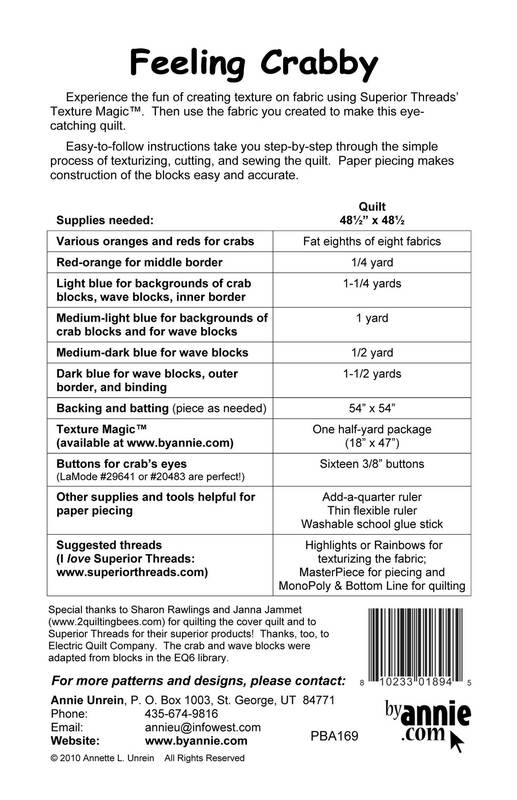 Paper piecing makes construction of the blocks easy and accurate. These button eyes are perfect for the crabs on the Feeling Crabby and ..